Racial disparities in asthma can largely be explained by looking at socioeconomic and environmental factors, such as access to healthcare, a nationwide analysis shows. The findings highlight the potential of targeted interventions, such as mobile asthma clinic programs and joint programs with schools where asthma prevalence is high. The analysis was published online Jan. 9 in the Journal of Allergy and Clinical Immunology. 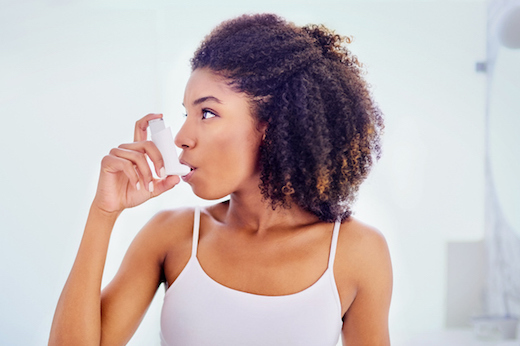 African American patients were more than twice as likely to visit the emergency department for asthma, the SARP data showed. When the statistics were weighted -- based on community and family socioeconomic factors and environmental exposure – the racial differences evened out. The research was supported by the National Heart Lung and Blood Institute's Severe Asthma Research Program and the National Center for Advancing Translational Sciences (UL1TR001420, UL1TR000427, UL1TR001102, UL1TR002378).